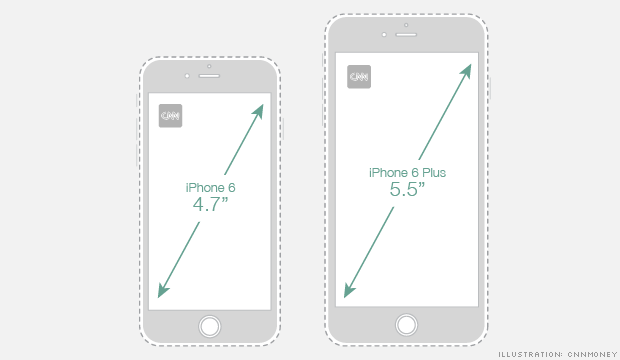 The new iPhone 6 comes in two sizes - the standard version has a 4.7" screen and the iPhone 6 Plus features a 5.5" screen. Here's a simple chart that you can use to get a feel for how big each of the two models are in real life. Just download the PDF, print it, and cut out the two phones.